Maureen Cronin with her great grandchildren Aeveen, Holly and Cian Brennan at her 100th birthday party in the Old Ground Hotel. Photograph by John Kelly. MAUREEN Cronin, a woman of indomitable spirit, had more birthday cards than Christmas cards to open this year. 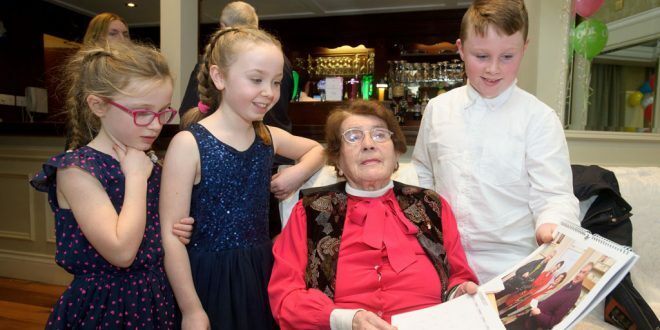 The writer and poet turned 100 on Christmas Day but hosted her big party a few days earlier in the Old Ground Hotel in Ennis. Surrounded by her children, grandchildren, great-grandchildren and a big number of other family members and friends, Maureen enjoyed a wonderful occasion. Born on December 25, 1916 in the musical and cultural heartland of Sliabh Luachra, the former Maureen O’Carroll made history in the education system when she defied the marriage ban for women by carrying on working for 12 months without pay, then continuing her career until well after the ban was eventually lifted in 1958. When Maureen married Sean Cronin, she wast teaching in County Limerick. After she was married, she went back to the school and continued to work without receiving a salary. For many she was a pioneer but in an interview a couple of years ago, she noted she was only able to take this dramatic step because she had the means to provide for herself. She said, for many others, they did not have that choice, giving up on the chance of marriage in favour of the job that they loved. She urged the younger generation to reflect on the sacrifices that were made. Maureen moved to Ennis many years ago after the death of her husband, as many of her family were living and working in the area. 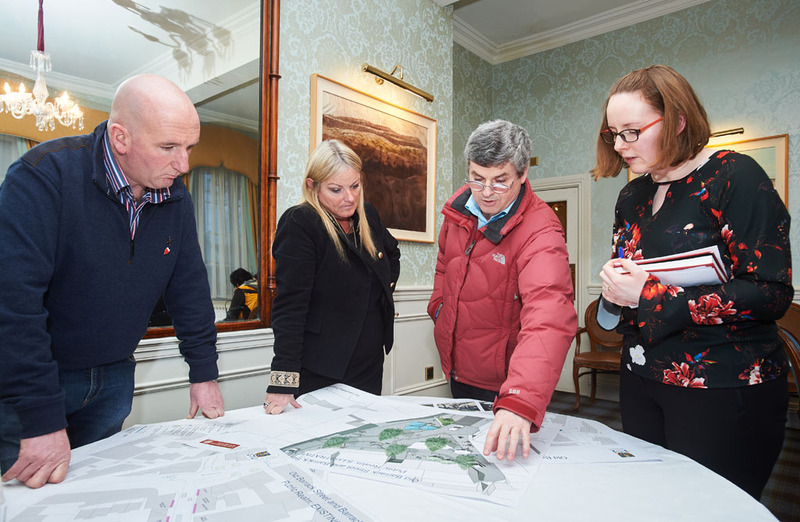 A regular contributor to The Clare Champion, Maureen has also featured in several RTÉ television and radio programmes, in addition to other local and national media.